Auto shows are famous for presenting concept cars to the general public. They give manufacturers feedback on potential new models, maybe show off some new ideas, and every once in a while give the stylists and engineers a chance to blow-off some creative steam. Many of them are unmarketable and nothing more than sounding boards. But some look like they might have been good ideas, certainly when compared to some of the stuff actually in showrooms these days. 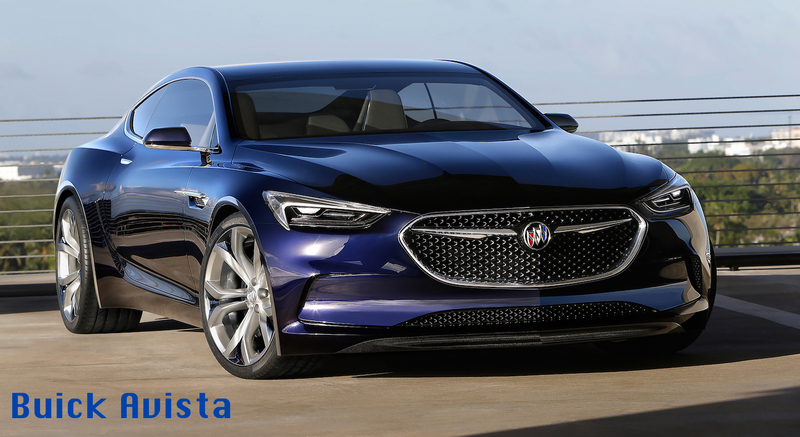 Buick Avista — the folks formerly from Flint unveiled this sleek 2+2 coupe at the 2016 Detroit Auto Show. The Avista’s grille has made its way onto most of Buick’s current lineup, but other than the Cascada convertible, there’s still hasn’t been a two-door in Buick’s showrooms since the Riviera, which disappeared after the 1999 model year. This might have brought in a whole different clientele. 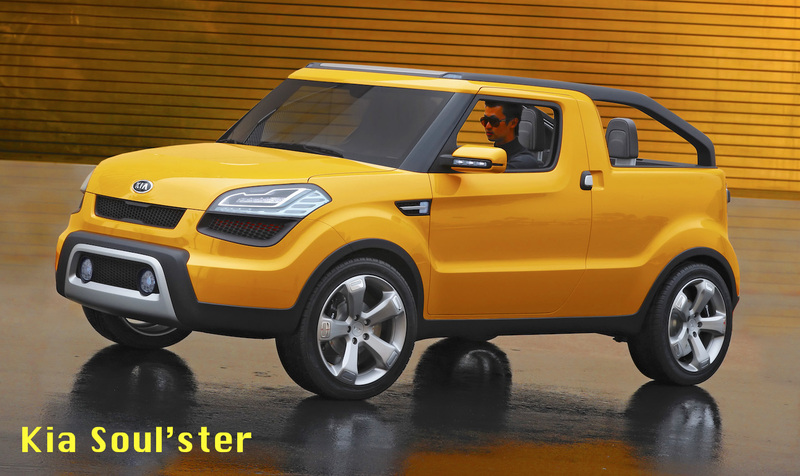 Kia Soul’ster — introduced at the 2009 Detroit Auto Show, the Soul’ster was named Concept Truck of the Year by the Automotive Hall of Fame. A two-piece roof allowed either the front or rear passenger compartments (or both) to be open to the elements. Fold-flat rear and front passenger seats made for great cargo carrying capabilities, while crank-up windows and dash-mounted audio speakers were a throwback to simpler times. A fun shape which unfortunately never went any farther. Volkswagen T-Cross Breeze — this nifty little convertible was first shown at the 2016 Geneva Motorshow. VW has since announced that indeed, a T-Cross will make it into production for model year 2019, but alas, it will be yet another 5-door compact SUV. 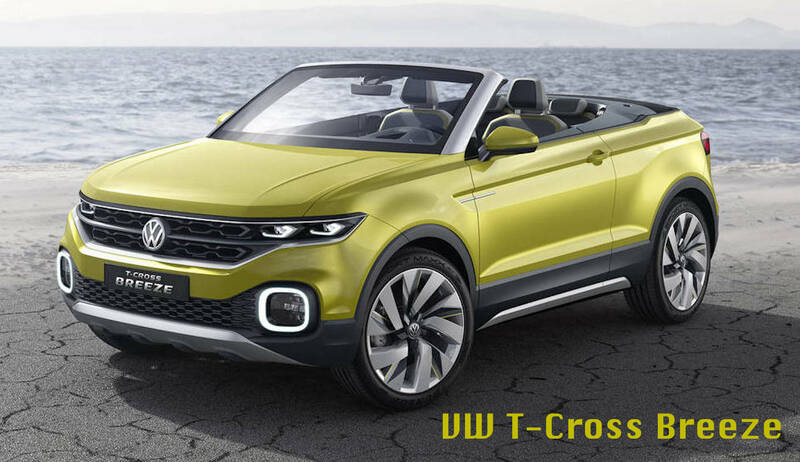 The original concept was apparently just a teaser — a 1.0L TSI-equipped cabrio; but the good news is that VW isn’t entirely ruling out a convertible version of the production T-Cross in the future. Toyota Tundrasine — just when you thought things couldn’t get any sillier, Toyota brought this pickup-based eight-door limousine to the 2015 SEMA show in Las Vegas. SEMA is the acronym for the Specialty Equipment Market Association, and their annual show features many custom-made vehicles sporting the aftermarket industries’ latest doo-dads and gee-gaws. I wouldn’t be surprised if somewhere out there prom-goers and wedding parties are using these 26-foot long behemoths as we speak! Unruly guests can always be tossed into the back. Are some ideas better left on the drawing board? From where I sit, yes. (We’re looking at you, Tundrasine!). But others sure look like they could have been popular sellers.